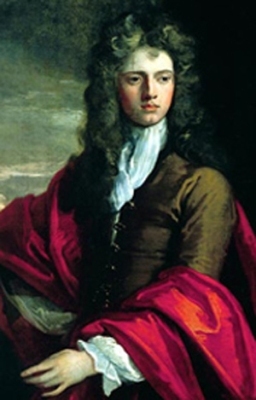 He succeeded as the 3rd Baronet Smithson, of Stanwick, co. Yorks [E., 1660]. Philip William Bryce Lever, 3rd Viscount Leverhulme was born on 1 July 1915.1 He was the son of William Hulme Lever, 2nd Viscount Leverhulme and Marion Beatrice Smith.1,2 He married Margaret Ann Moon, daughter of John Moon, on 1 July 1937.1 He died on 4 July 2000 at age 85. He was educated at Eton College, Windsor, Berkshire, EnglandG.1 He graduated from Trinity College, Cambridge University, Cambridge, Cambridgeshire, EnglandG, with a Bachelor of Arts (B.A. )1 He was awarded the Territorial Decoration (T.D. )1 He held the office of Lord-Lieutenant of Cheshire between 1949 and 1990.1 He succeeded as the 3rd Viscount Leverhulme, of the Western Isles, cos Inverness and Ross and Cromarty [U.K., 1922] on 27 May 1949.1 He succeeded as the 3rd Baron Leverhulme, of Bolton-le-Moors, co. Lancaster [U.K., 1917] on 27 May 1949.1 He succeeded as the 3rd Baronet Lever [U.K., 1911] on 27 May 1949.1 He gained the rank of Honorary Air Commodore in the No. 610 (County of Chester) Squadron, Royal Auxiliary Air Force.1 He gained the rank of Honorary Colonel in the Cheshire Yeomanry (Territorial Army).1 He held the office of Justice of the Peace (J.P.) for Cheshire.1 He was awarded the honorary degree of Doctor of Law (LL.D.) by Liverpool University, Liverpool, Lancashire, EnglandG, in 1967.1 He gained the rank of Honorary Air Commodore in 1972 in the 663 Air Observation Post Squadron, Royal Auxiliary Air Force. He was appointed Knight, Most Venerable Order of the Hospital of St. John of Jerusalem (K.St.J. )1 He held the office of Chancellor of Liverpool University between 1980 and 1993.1 He was appointed Knight, Order of the Garter (K.G.) in 1988.1 On his death, his titles became extinct. From 27 April 1996, her married name became Cave. [S1904] Richard Cave, "re: Cave Family," e-mail message to Darryl Roger Lundy, 7 September 2006. Hereinafter cited as "re: Cave Family."